Colors are popping… perhaps 2 weeks early!! While mid-October seems to be the month when Fall Foliage really POPS along the Upper Mississippi River, it may be a little EARLIER this year. You can follow its southward march with the contacts below. Weather is perfect, enjoy the drive! 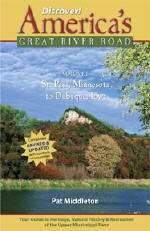 And don’t leave home without the indispensable guides to Mississippi River and Great River Road travel! Every volume of DISCOVER! America’s Great River Road is filled with a variety of fascinating Mississippi River fact and lore. Photos, maps, charts! All Volumes contain info on birding, wildlife viewing hotspots. Each highlights Geography, interpretive history and natural history attractions along the Great River Road. SAVE $10!!! Purchase ALL FOUR VOLUMES of Discover! 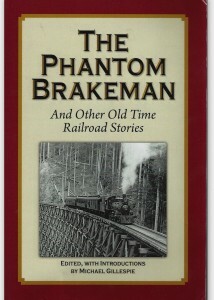 America’s Great River Road… St. Paul, Minnesota, to Venice, Louisiana, individually signed by the author. Four guides for $62. Saving the Delta Queen…. Saga Continues! Hot off the Press! The Delta Queen hasn’t been written off yet! The Delta Queen could be back cruising waterways sometime soon. The Senate voted 85-12 on Monday to allow the legendary riverboat to carry passengers if certain safety changes are made to the wooden vessel. In the past, the Delta Queen had been exempted from a 1966 law that had prevented wooden boats from carrying passengers overnight. That exemption lapsed in 2008. McCaskill said three presidents rode on the Delta Queen – Herbert Hoover, Jimmy Carter and Harry S. Truman. She said the boat operated for decades without incident. The House still must act on the bipartisan bill. 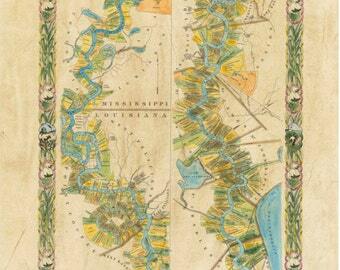 Historic River Ribbon Maps Tell a LONG Story! 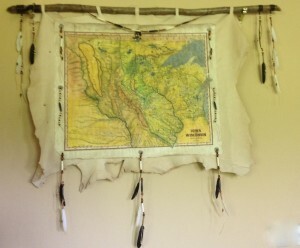 (Left) Authentic Historic Ribbon map with Winder, sized for use on the boat. 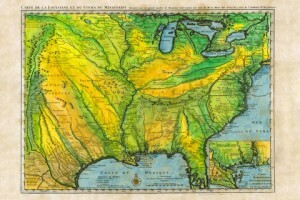 Imagine a map of the Mississippi River that shows all of the cities and towns along the river and all the landings where a steamboat might stop. 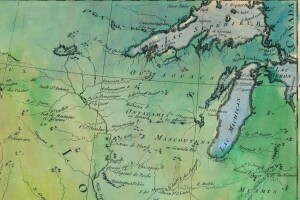 Make the map about three inches wide and in one continuous strip showing the entire river from the Gulf of Mexico to its source at Lake Itasca, Minnesota. If you imagined correctly, you would have a map that is about eleven feet in length, like a long streamer or ribbon. Now roll up the map to a couple of inches in diameter and put into a wooden cylindrical container that can easily fit into your pocket! For Jack, who wants to know more about all the tributaries of the Mississippi River: how many there are, their names, and how long they are! There are some 250 tributaries of the Mississippi which drain a total area of more than 1,247,000 square miles–one third of the nation’s landmass–extending from the Allegheny Mountains in the east to the Rocky Mountains in the west! Remember the Mississippi River Flood of 1993? It wasn’t just the Mississippi River flooding that wreaked havoc, it was that all those tributaries flooded as well! At one point, the volume of water flowing past St. Louis was eleven times the volume of Niagara Falls!! 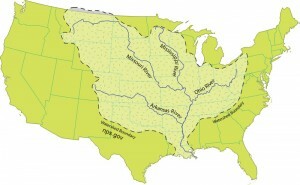 We start here with quick facts on the Mississippi River and several navigable tributaries! 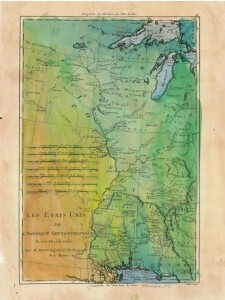 Please follow links for a little more depth of historical interest and to see our collection of hand-painted maps! The Mississippi River, from its source at Lake Itasca in Minnesota, to the Gulf of Mexico, is approximately 2,348 miles long. The combined reach of the Missouri-Mississippi Rivers is 3,741 miles–a length exceeded only by the Amazon and Nile rivers. The Mississippi River has shortened by several hundred miles since the days of Mark Twain. Even today it varies 30-50 miles each year. 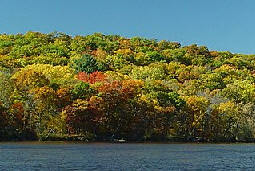 The widest navigable part of the Mississippi is Lake Pepin, on the Upper Mississippi, where it is approximately 2 miles wide. The average current flows from 1.2 miles per hour nearer Lake Itasca, and about 3 mi per hour nearer New Orleans. 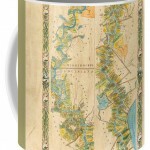 Our Mississippi River Ribbon Map has been a best-selling Gift for many years. Lisa now offers her own custom ribbon map designs of both the OHIO RIVER and the Missouri River. Please click on any map image for more info on the map or the tributary. 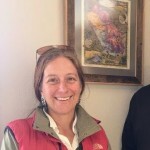 Or PHONE 888-255-7726 to order any map. 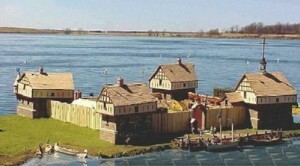 Mention you saw it on greatriver.com for a one time 10% discount! Click on map images for more info on the tributaries. Let us celebrate with historic French maps! 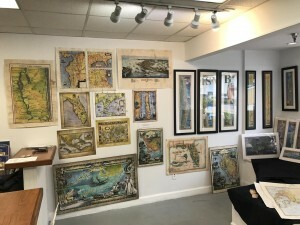 Click on the maps to read detailed histories from Great River Arts… Lisa Middleton, Map Artist.Pause the curser over the map image and a magnifying glass with allow you to study the maps!! We will do a different century through this coming week! First, the 18th Century. 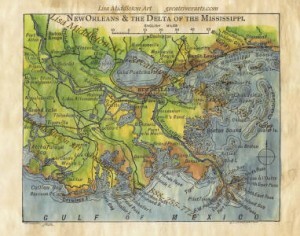 1731, De L’Isle’s CARTE DE LA LOUISIANE… With Lake Pepin Named on the Upper Mississippi River…. name requested by King Louis 14th!